Size: about 1/2 -to 1-inch in length. 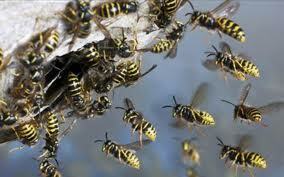 Color: generally small wasps with black and yellow stripes. 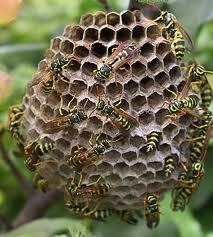 Yellow jackets are social insects that live in colonies containing thousands of individuals. Colonies are usually started by a single queen in the early spring, and are very small for the first couple of months. 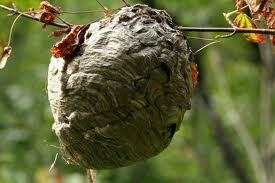 By midsummer, a colony located on or near a house is usually large enough to become a nuisance. 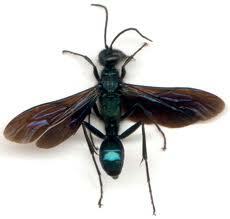 These wasps will aggressively attack when their nest is disturbed, and can inflict painful stings. Unlike the honeybee, which stings only one time and then dies, a single yellow jacket can sting many times. Yellow jackets are scavengers and can be beneficial when located in a wooded area or a field. Colonies located in or near a home, however, can pose a threat to the persons living in the house. When this situation is discovered, the colony or colonies should be eliminated. Because of the danger involved in treating these nests, only a professional such as A-Extermination should attempt to treat them. Should a colony be discovered, contact your local A-Extermination service professional for assistance.